A grimoire is a fancy name for a witch’s diary, where they record spells, rituals, correspondences, and other magical information. The origin of the grimoire is dated back to the ancient Middle East, with some form of the magical book reaching everywhere from Spain and Britain to the U.S. and Caribbean. Many modern witches may also know a grimoire as a Book of Shadows. The name was penned by Gerald Gardner in the 1940s. Gardner is the founder of Wicca, a modern-day neo-Pagan religion that’s loosely based on what the ancient Celts believed. Gardner claimed that he was given the Book of Shadows by a secret coven of witches, who had hidden the text from Christian prosecution. Whether or not this is true, his influence remains. 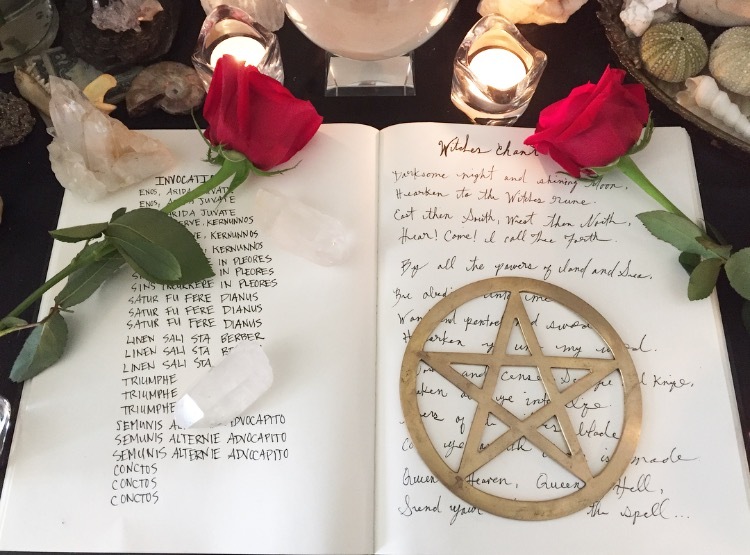 Though many covens (or groups of witches who work together, classically under a High Priest and High Priestess) have specific rules to follow regarding grimoires, millennial mystics are taking their own approach to building their books. Some people cleanse and consecrate their book, some write in code or symbols; the point is that it has to feel right for YOU. If you’re itching to start your own grimoire, here are a few different approaches you can take to make sure yours is as magical as you are. In today’s digital world, it can be easier to keep everything virtual. Haley ED Houseman — a writer, occultist, and witch from New York — prefers a digital version for her own grimoire. 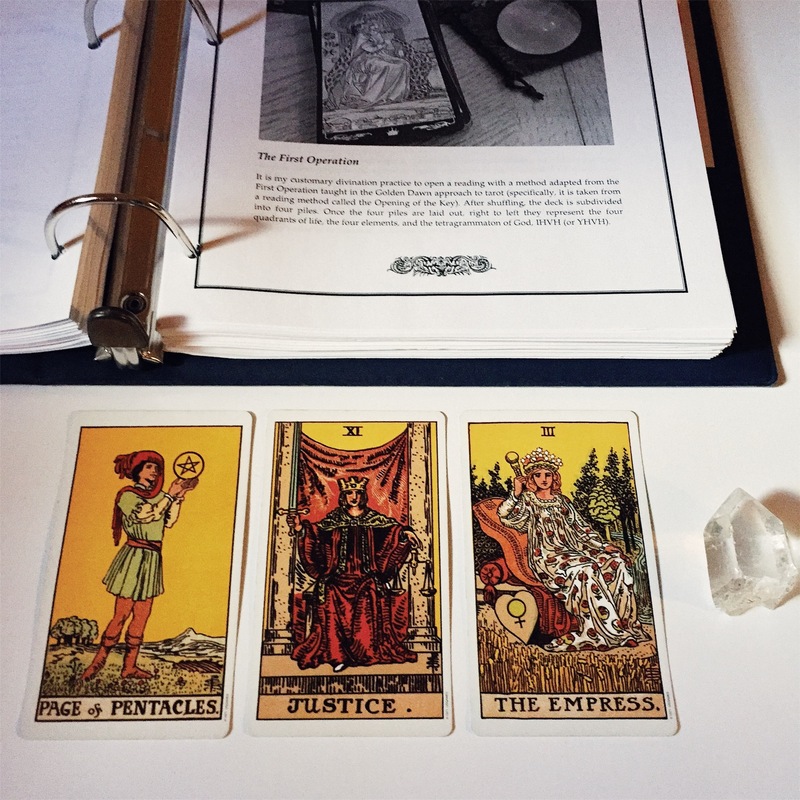 What started as notes for her pieces and columns took on a life of its own, eventually combining with correspondences, and notes on tarot and herbs, to create her current book. 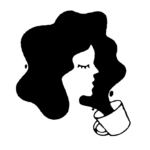 "It’s an actually an Evernote notebook, with not just my own notes, but websites, books to check out, articles I really liked, and images that resonated with me. I use a corresponding Pinterest board as well. It’s a living document for me, rather than a static reference book. I don’t have any particular teacher who is giving me this knowledge, since I am self-taught. I’d like for it to develop more along the lines of a physical book I can reference." Her suggestion for any beginning witch looking to start their own grimoire? Don’t be too hard on yourself! Exploring your own interests will lead you to natural areas of expertise and focus, she says. So rather than trying to have your book look like someone else’s, record what speaks to you (like you’re taking notes for a class you love) and enjoy the process. Your grimoire will fall into place naturally. "Whenever I really fall in love with a new magickal technique or philosophy, I'll print it out and add it to the collection. I include specific sigils and recipes, correspondences, notes on how certain practices did or didn't work, old tarot readings and astrological observations, and teachings from my mentors and people I admire. There's no specific format. Thanks to my Gemini moon, I take a magpie approach, gathering bits and pieces and adding them as I go." Amelia sees her grimoire as a tool and an ally, a reference book for the down-and-dirty work of witchcraft. And just like Haley, Amelia’s advice to those starting on their grimoire journey is to not overthink it. Instead, choose a method that works for YOU and follow that. Since every witch is different, each practice is going to look different as well. If you’re more traditional, then you may have a couple different grimoires that serve unique purposes. For professional witch and artisan Michael Cardenas, this holds true. He has three grimoires; two which are three-ring binders which he adds to often, and one majestic leather journal with handmade paper that has more permanent information in. "I wrote it in the traditional way by candlelight on a full moon, transferring the information from the grimoire that belonged to my High Priestess. I was only allowed to transfer information on full moons in three-hour increments, so it took forever! It was worth it though. I keep spells, product recipes, traditional rituals, poetry, incantations, coven mysteries, and correspondences in my grimoires. I organize all of the information according to how frequently I use it and order of importance. Each book has a table of contents, each page is numbered, and features hand-drawn illustrations for reference." His advice is to have two grimoires. 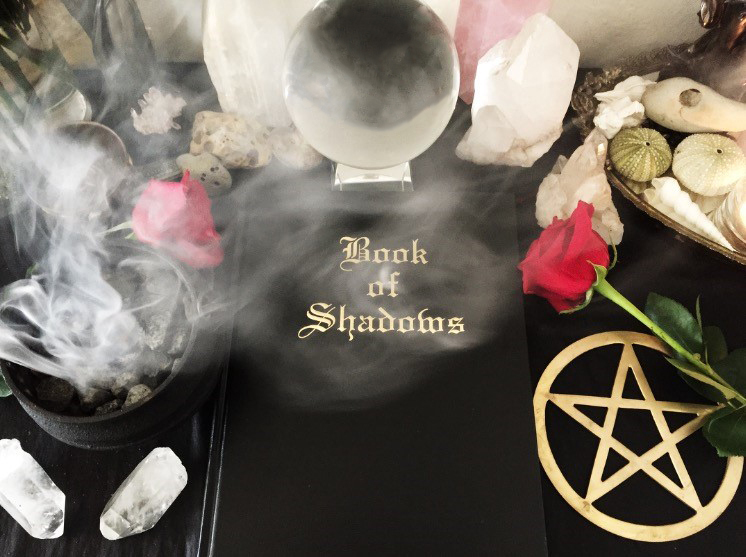 One that you’re not afraid to write in and get dirty (from oils, powders, ashes, or dirt) and one that makes you feel “bruja af.” He suggests putting the official information into your opulent book of shadows that you’ll use on full moons and solstices, and all the other daily information into your more casual grimoire. No matter what you choose, if you follow your heart and your intuition, there’s no wrong way to go.